In a world where technology has given small businesses an advantage to improve their operations, profits, and time tracking, it’s a surprise that many companies are still not using cloud-based HR softwares to improve. 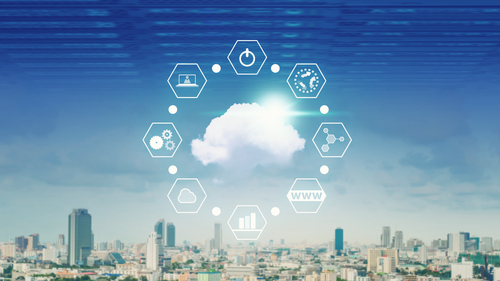 There are many benefits to using them and in this article you will read five reasons why your business should at least give cloud-based software a chance. The expression “time is money” holds true when it comes to operating a small business. Time plays a huge factor in every day work operations. Just think about it for a moment; employees are paid based on their time, companies scale production based on time, profits are valued on how much time it takes to complete a job or tasks, etc. When any business can save time to invest it elsewhere in the company, it only allows it to grow and improve. In return, many companies will see higher production rates, reduced expenses and other time saving goals. Wouldn’t it be nice if you could save time when completing employee time cards? Some HR software companies like OnTheClock provide these services where employers no longer have to manually calculate their employees’ time sheets. Some of the most successful companies in the world have adopted sustainability to their culture. These businesses include Coca-Cola, Apple and General Electric, to name a few, according to an article produced by Forbes. Your businesses can gain recognition and be viewed as a company that cares about the environment and is willing to commit to reducing the usage of natural resources. Not only is this great PR, but also knowing that you are making a difference in the world by contributing to improving the environment is a great feeling! We are humans, and humans make mistakes. Cloud-based HR Software captures and stores data that the system has automatically generated for you. This will keep things such as employee hours worked, accounting, payroll, proposals, contracts and other very important documents safe, secure and accurate. For example, if you have workers who are working 40 hours per week and you continuously make mistakes on their time cards, then your small business could be suffering and paying more than it should. This is only one mistake that small business owners make. If you are interested in learning additional common mistakes that small business owner make then please check out AccountingDepartment.com. Cloud-based softwares will also allow you to stay organized and on top of things. Need to know who is on the clock and working? No worries, because a cloud-based time clock system could help you accomplish this. Or say that you were being audited for some reason and needed to provide specific documentation, all you would have to do is login to the cloud software and pull up safe and secured documents. Improve your efficiency and time while being able to share records without digging through a file cabinet. It’s as easy as that! Of course cost is a factor with any small business. It is very important to keep your business in the green when budgeting. With that being said, many HR software tools are cost efficient. For example, your company could be tracking employees’ time for as little as $7.50 per month. Sometimes you have to spend money to make money and this is no different when it comes to investing into cloud-based HR software to help improve your company and allow it to run more efficiently. Sit down and analyze your company’s goals, strengths, weaknesses, and its current financial situation. Next, see what alternatives and solutions are out there that will help improve your company. This could be anything from payroll software, employee time tracking software or a performance management software, to name a few. In addition, look for a software that offers a free trial to make sure the investment is worth your money and time, because at the end of the day you are trying to improve your business not harm it.